Announcing the 3rd Annual Ubisoft Indie Series Winners! 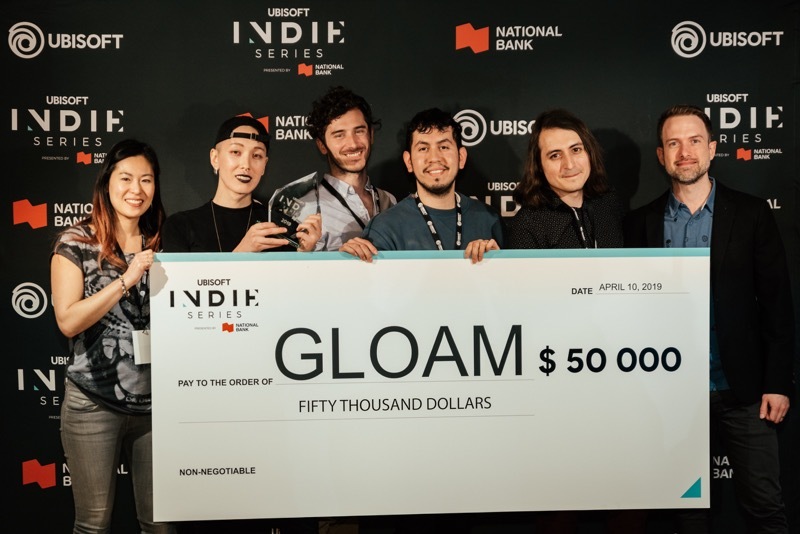 Indie game studio GLOAM takes home the Ubisoft Indie Series Grand Prize of $50,000, and Ubisoft and National Bank mentorship. 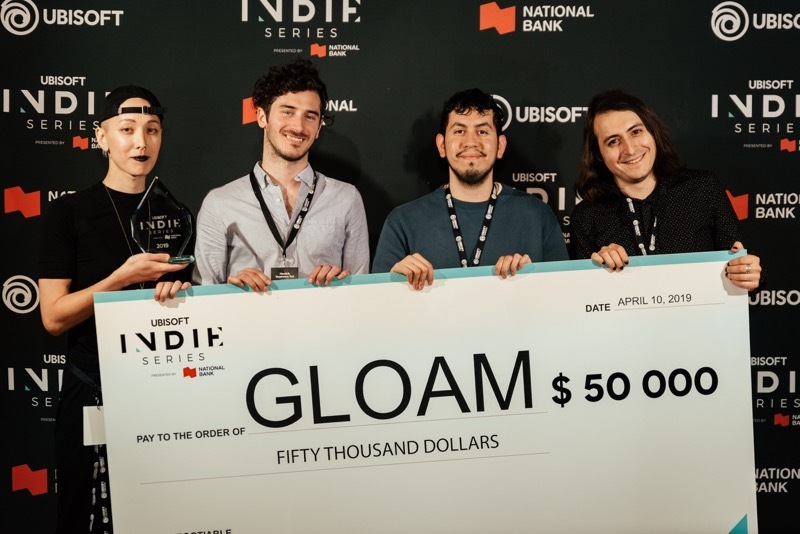 Last night 10 Ontario indie game development studios pitched a panel of Ubisoft and National Bank experts, and after rigorous competition, GLOAM took home tonight’s grand prize. 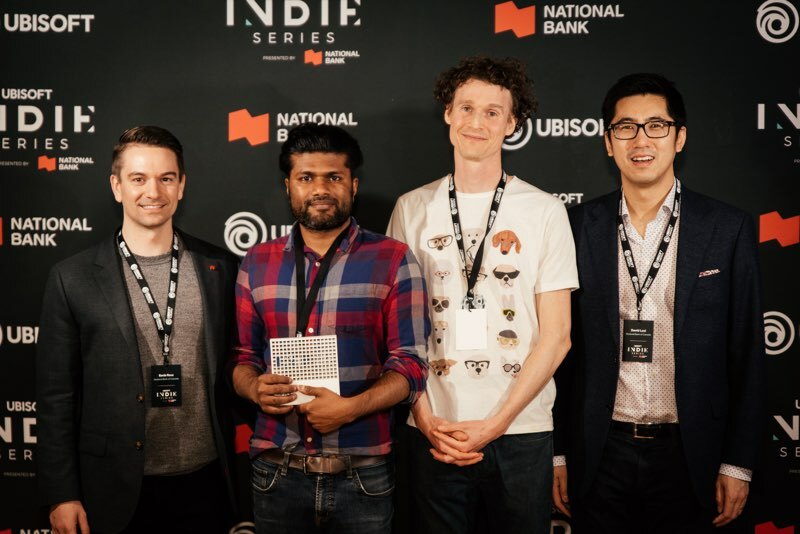 With their game Bravery Network Online, they are the Ontario winners of the third edition of Ubisoft Indie Series presented by National Bank. Winners of the Ubisoft Indie Series presented by National Bank Grand Prize, GLOAM (centre), with Ubisoft Toronto Corporate Affairs Director Lesley Phord-Toy (far left) and Ubisoft Toronto Managing Director Alex Parizeau (far right). This year’s grand prize consists of $50,000 (CAD), mentorship from Ubisoft experts to help with development, personalized financial diagnosis and counsel by National Bank experts, and marketing support for their game and entrepreneurial training experience by National Bank. WashBear Studio took home the National Bank Special Prize for their entry, Parkasaurus, which includes $25,000 (CAD), mentorship by Ubisoft experts to help with development, and personalized financial diagnosis and counsel provided by National Bank experts. Ottawa-based indie studio WashBear Studio (centre), winners of the National Bank Special Prize, with Kevin Rose (left) and David Looi (right) from National Bank. Now in its third year, the Ubisoft Indie Series presented by National Bank is an annual competition for independent game development studios, offering cash prizes, mentorship, and creative, marketing and financial tools to help local studios and their games reach new heights. Ubisoft opened its first Canadian studio in 1997 and its first studio in Ontario in 2010: Ubisoft Toronto. Since then, the company has played an active role in developing a passionate and creative ecosystem where studios, small and large, have collaborated to make the videogame industry shine on an international level. Making games is difficult and presents many challenges: financially, creatively, and more. This is precisely why we want to connect with our colleagues, share knowledge and expertise, and together, ensure Canada continues to grow as a game development leader worldwide.